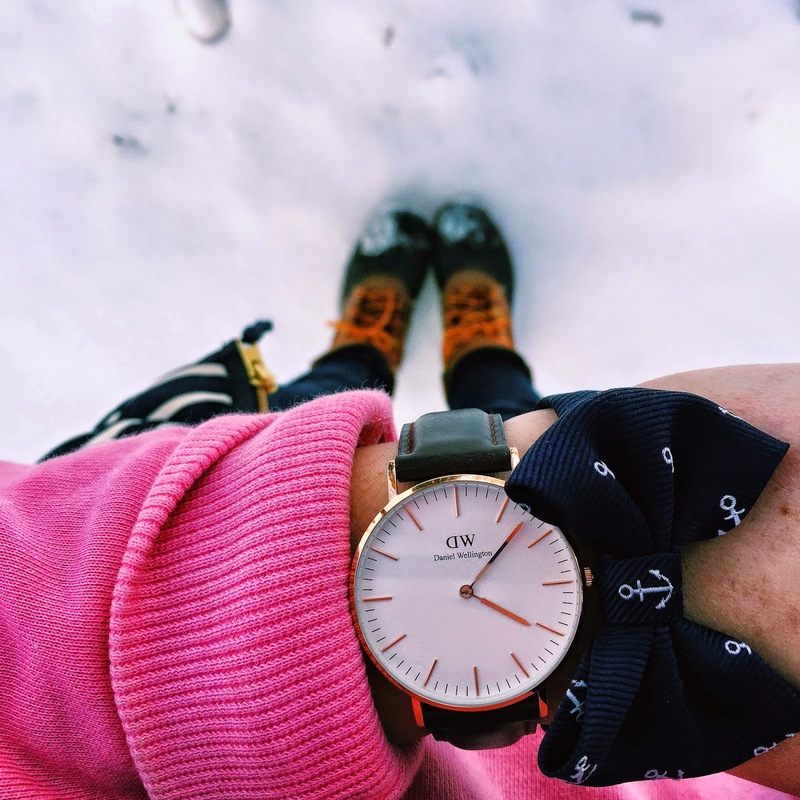 Today I am teaming up with Abby, who blogs over at Belle of the Ball, to show you how we style our Daniel Wellington watches! I received mine for Christmas (thanks, Santa) and love how simple and versatile it is. 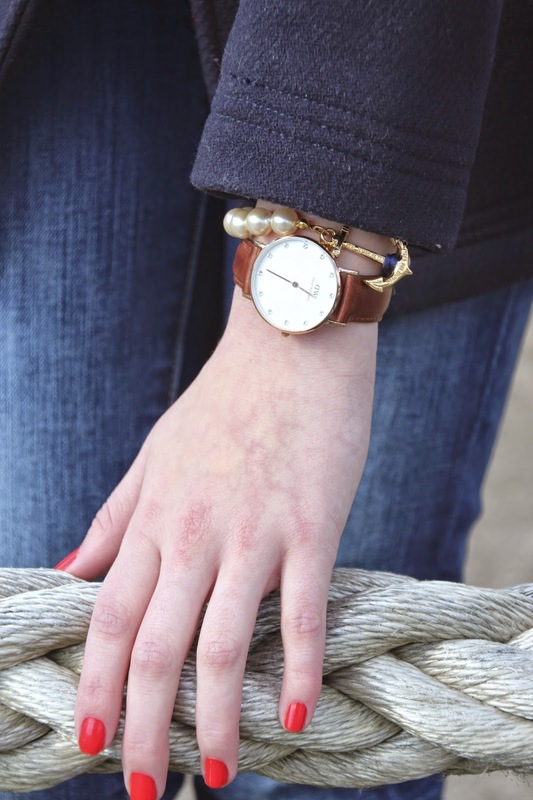 Both Abby and I paired our watches with a Kiel James Patrick bracelet for a nautical touch. 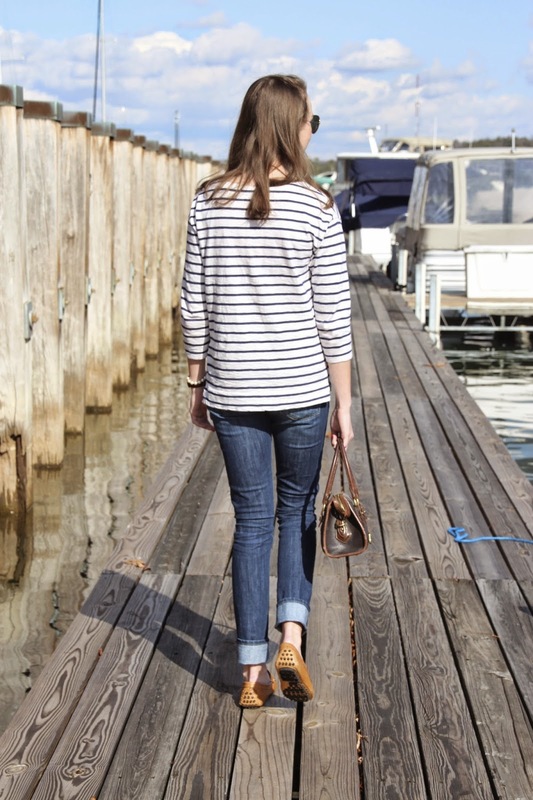 A look at Abby's part of the collab… see her whole look here! So cute! Love the vintage Dooney bag. You both look adorable! Thanks Julia! I just checked out your blog and it is too cute!! Obsessed with your outfit in your trip to the flower shop post.